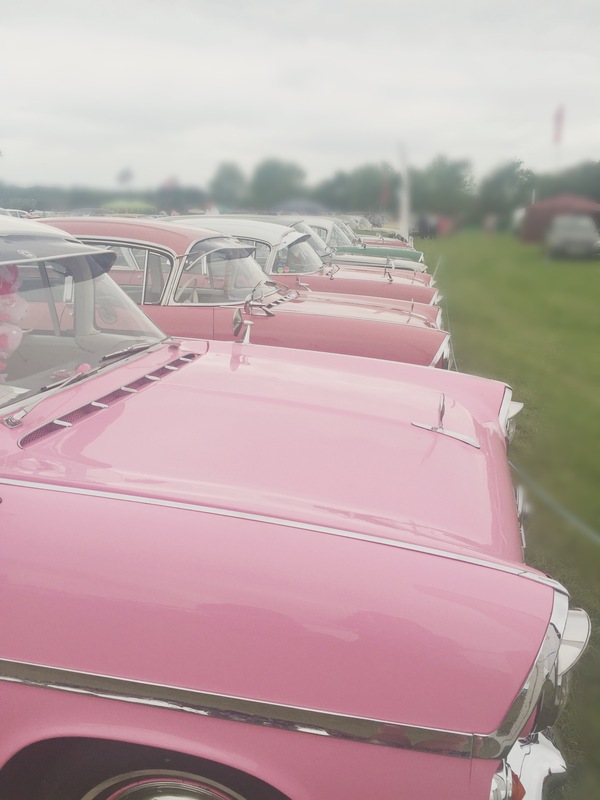 Today I went to a Car Show so I thought I would share some of my pictures, I’m not a huge car person but if it looks pretty and it’s pink then I will like it. 11:00 I woke up pretty late today, 11am but I have been up late catching up on Nashville so I need the sleep. Every morning I like to watch some YouTube videos in bed to catch up on my subscriptions. 11:30 After watching enough and realising that I need to start getting ready, I make my bed and get the make up I want to wear. 12:30 I always struggle deciding what to wear and my room ends up looking like a bomb site! Today I opted for a playsuit from Boohoo and a denim jacket from Select and my new Missguided sandals. 13:30 We headed to the Car Show, and I ended up walking around with my mum and my nan, grandad and brother walked around together. We spent about 2 hours walking around and of course I had to have an ice cream. And got some cute little bracelets and beads. 16:00 Recently I have been trying to reduce the amount of time I have make up on my face, so as soon as I got home I took all my make up off and put a face mask on. 17:00 My recent obsession has been sweet potato fries so I made these for my dinner, I love making them as it feels more rewarding knowing I’ve prepared them and cooked them. 1830 After dinner, I decided to paint my nails and watch more of Nashville and will do this until I fall asleep.